Aluminum Silver Top Roof Rack Rail Luggage Carrier Bars for Mazda 5. Car 63" Silver Aluminum Top Roof Rack Rail Luggage Carrier Bars Bar for Mazda 5. New, OEM (factory) part. Right roof molding for 08- 10 Dodge Challenger. Passenger side. HEMI orange with peel and stick automotive tape. Sale is for one molding. Set of Westfalia roof racks made by Gary Lee at VWRack. In excellent condition and only about a year old. 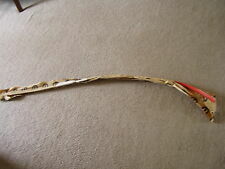 Has special attachments that reinforce the racks on the gutter while driving so there is no risk of fiberglass damage. DODGE CHALLENGER STR8, 6.4L V8 SRT HEMI MDS, 5-Speed Auto W5A580 2013. DODGE CHALLENGER STR8, 6.4L V8 SRT HEMI MDS, 5-Speed Auto W5A580 CORE 2013. JEEP PATRIOT 4x4, 2.4L I4 DOHC 16V Dual VVT, 5-Speed Manual T355 SPORT 2013 ,2014 ,2015. Caution: This item only fit vehicle roof rail tower distance is 36" to 42" Does Not Fit Flush Roof Rails. We makes no representation or warranty regarding third-party products or services. We will replace the problem item for you with an item of equal or greater functionality. STYLE : Roof Rack Car Top Cargo Storage Basket. Removable Roof Basket With Stylish Design. 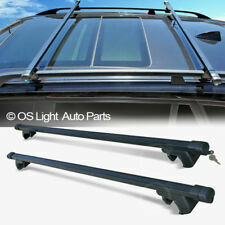 APPLICATION : Universal Fit For Vehicles With An Existing Roof Side Rail System. Cross Bars Will Be Needed In Order To Install The Basket Onto Your Vehicle. TYGER Delux bike rack is a handy and trusty bike carrier! Fits most Sedans/Hatchbacks/Minivans and SUV's. (Exclude vehicles equipped with rear spoilers.). 100% assembled. OE standard black E-Coating for rust resistance. Roof Rack Cargo Storage Basket ( Cross Bars Are Not Included ). Included Fairing Reduces Wind Noise & Drag. It Can Be Use To Carry / Transport Luggage, Cargo & Camping Gear etc. It Is Fast & Easy To Install The Cross Bars Onto Your Side Bars. Caution: This item only fit vehicle roof rail tower distance is 36" to 44" Does Not Fit Flush Roof Rails. We makes no representation or warranty regarding third-party products or services. We will replace the problem item for you with an item of equal or greater functionality. Part Information: Adapter kits for Mopar® carriers facilitate integration with production racks to handle those special circumstances such as bikes without horizontal crossbars or ski carriers mounted to production cross rails. Trending at $62.95eBay determines this price through a machine learned model of the product's sale prices within the last 90 days. 2×Universal Car SUV Roof Rail Luggage Rack Baggage Carrier Cross Aluminum Black. Widly applicabilit, universal fits for 2 or 3 doors cars, can be used with bicycle racks, luggage rack and luggage boxes, ect. Each clip number is specifically matched with a vehicle or variety of vehicles. TYGER Delux bike rack is a handy and trusty bike carrier! TYGER Deluxe Black 1-Bike Trunk Mount Bicycle Carrier Rack. (Fits most Sedans/Hatchbacks/Minivans and SUVs.). Fits most Sedans/Hatchbacks/Minivans and SUV's. 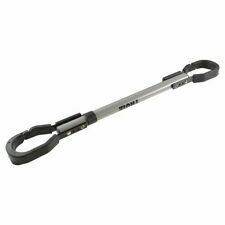 (Ideal for carrying luggage, ladders, surfboards, kayak, canoe, SUP, snowboard, ladder, luggage box etc. 2x Universal Kayaks Surfboard Car Roof Rack Soft Pads Luggage Carrier Bar. Ideal for carrying luggage.). Our Non-Adhesive rooftop cargo mat is perfect for any car, truck, suv or van equipped with roof racks. The rubber grip cushioned layer is scratch proof and protects the roof from any friction marks while traveling.It's unigue grip pattern keeps storage bads in place. With its 47" x 37" you can either cut to fit or fold for extra protection. .
2pcs Car roof rack light bracket Crossbar Luggage-rack bumper bull bar Mounting holder for Led Light Bar work light 4x4 4WD SUV. It is better to check below size can fit for your roof rack or not before buying. Simple and Easy Installation. Install & Remove in Minutes. Long Lasting & Durable Finish. Suitable for All Weathers. Caution: This item only fit vehicle roof rail tower distance is 36" to 42" Does Not Fit Flush Roof Rails. Reduces wind noise by deflecting air around your load. We will replace the problem item for you with an item of equal or greater functionality. We makes no representation or warranty regarding third-party products or services. Kayak Carrier Rack Mounts onto Vehicle's Cross Bars/Roof Racks. Caution: This Kayak Roof Rack is installed onto the vehicle that has roof racks. Weight Capacity up to 70lbs. We will replace the problem item for you with an item of equal or greater functionality. Caution: Does Not Fit Flush Roof Rails. This item only fit vehicle has roof rail. We will replace the problem item for you with an item of equal or greater functionality. We makes no representation or warranty regarding third-party products or services. Widly applicabilit, universal fits for 2 or 3 doors cars, can be used with bicycle racks, luggage rack and luggage boxes, ect. 2 Luggage Rack (Included Installation Accessories). Material: Aluminum Alloy. 16 cubic feet of rooftop storage space. 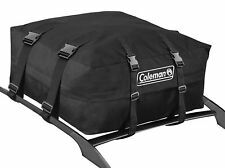 Cargo carrier has sealed seams to provide protect against moderate rain and excellent protection against wind, debris, and the sun. Easy set-up and folds down for compact storage. Caution: This item only fit vehicle roof rail tower distance is not over 49" (124.46cm). Does Not Fit Flush Roof Rails. We makes no representation or warranty regarding third-party products or services. Universal fit Roof Top Soft Cushions Cross Bars. Ultra-Light Weight EVA Foam with oxford cloth PVC coating. This pair of roof rack pads is of good quality and durable material. 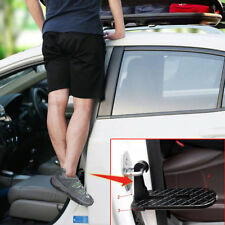 The pads can protect the car roof racks from scratches and absorb shock. 【Non-slip Design and PVE Soft Rubber】-- Frosted surface provides solid and secure support for you standing on car foot pedal folding ladder. Vehicle rooftop foot pedal, a very useful travel tools! Car foot pedal is made from light-weighted durable Aluminum Alloy. Part Number 692916. Utility Lock Cylinder. Part Type Utility Lock Cylinder. Discover Card. Universal Fit Cargo Basket (38.5" x 43"). This Roof Cargo Basket is designed to mount onto your vehicle's Cross Bars/Roof Racks. It's made from heavy-duty steel in a black powder coated finish. Long lasting & durable. Simple and Easy Installation. Install & Remove in Minutes. Long Lasting & Durable Finish. Suitable for All Weathers. Ultra-Light Weight 3mm Aluminum Alloy Mold with 150 lbs Capacity. (Installation Hardware and Mounting Accessories Included). Caution: Does Not Fit Flush Roof Rails. This item only fit vehicle has roof rail. Installation hardware and mounting accessories are included. Ultra-light weight of 3mm aluminum alloy mold with a capacity of 150 lbs. The Wind Fairing has been designed style and aerodynamics. Not only does its stylish design enhance the overall look of your roof racks, it also reduces wind noise by deflecting air around your load. Motor Trend Rooftop Cargo Carrier is perfect for any vehicles equipped with a rack and bars or cargo basket. Bag is constructed of waterproof double wall vinyl with heat sealed seams to keep water out. You can mount your cargo firmly with the 8 Industrial Grade 2" straps and sturdy buckles. It's anti-scratch base is secure and will not leave any marks on our car's rook. .
Reduces wind noise by deflecting air around your load. We will replace the problem item for you with an item of equal or greater functionality.